Two U.S. soldiers and two American citizens were killed in an explosion while conducting a routine patrol in Syria on Wednesday, the U.S. military said, an attack that came less than a month after U.S. President Donald Trump announced his intention to withdraw troops from the war torn country. 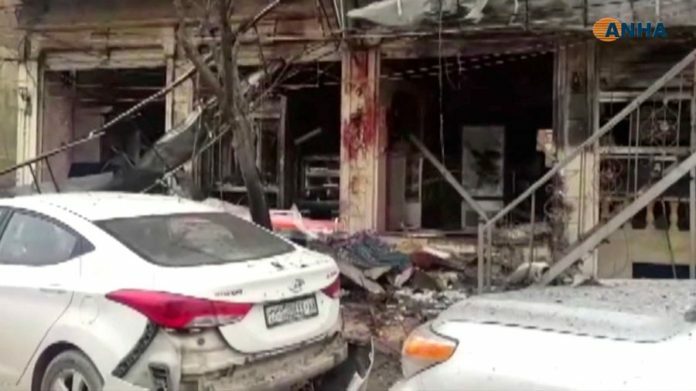 The Islamic State group claimed responsibility for the morning attack, which local groups said killed 16 people in the U.S.-patrolled town of Manbij. The attack also wounded three U.S. service members along with other people. Must be FAKE NEWS our dear leader has told us that ISIS is already defeated. It would appear that trump does not know more about isis than the generals.